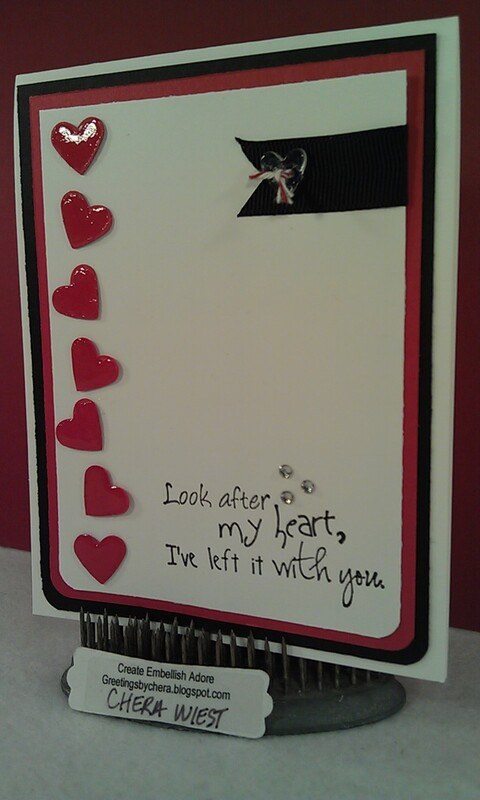 I have been waiting to get my valentine mojo back on, and well, it might have arrived. Though I am not sure I will use this as a Valentine, but as a card when I am travelling. The 1SG and I have left notes for one another since we started dating, and though we have been together for 7 years, it hasn't stopped. Heck, he went hunting and I make sure I slip a little note in his lunch bag to know that I am thinking of him and wishing him well. 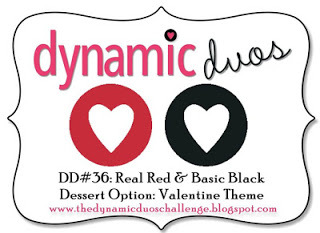 I used one of the Paper Make up Stamps with a simple Black and Red theme from Dynamic Duos. 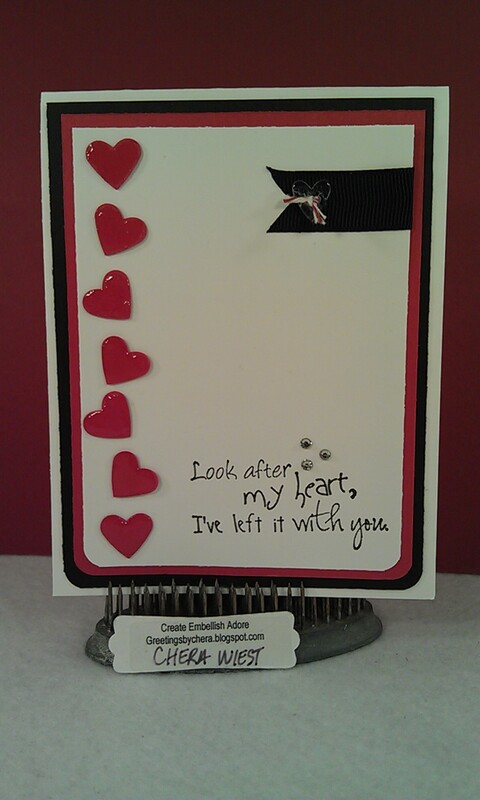 I used the small heart punch for the hearts on the side, and put some rhinestones within the sentiment. Just above I added ribbon and a clear heart button with bakers twine in it. 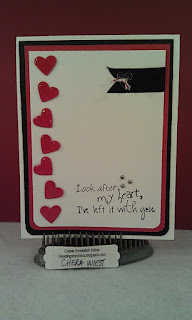 A simple little valentine! great sentiment! and awwww about the love notes. Those shiny little hearts are awesome! Thanks for joining us at Dynamic Duos this week! 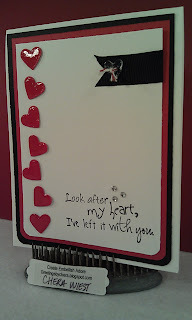 So sweet - love that sentiment with the scattered rhinestones! Thanks for playing along with Dynamic Duos this week!